The automation introduced in the DXB 880 ensures a repeatable, robust process. The user is able to program each process node individually and with extreme precision, while new Active Cooling technology significantly reduces bonding cycle time. The system can be programmed with the desired temperature, pressure, and duration for each step in the sequence. The display shows the status of the bonding sequence as it progresses. The program is stored in local memory for easy access and simple operation, and can be password protected to prevent accidental changes. 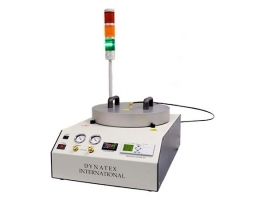 The DXB 880 Automatic Wafer Bonder is used for creating void free wafer bonds. Low total thickness variation (TTV) in bond line thickness. Onboard process controller automates the entire wafer bonding process. The DXB 880 has one button operation for a fully automated process. Dual chamber technology provides precise control of the bonding pressure. Active cooling feature allows the bond to set with the bonding pressure on, and provides a fast cycle time rather than the much longer time required for the bonder to cool on its own. 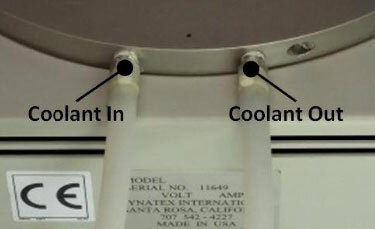 Active cooling is facilitated by the addition of a coolant channel directly in the heater base. Cooling takes between 6 to 10 minutes in a typical application. The following image shows the DXB 880's active cooling connections. For more controlled bonding processes, the dual chamber feature provides the best in control, precision and flexibility. The bonding pressure is controlled with extreme precision by adjusting the differential pressure in the two chambers. This allows the wafer to come up to temperature without trapping air in the bondline. 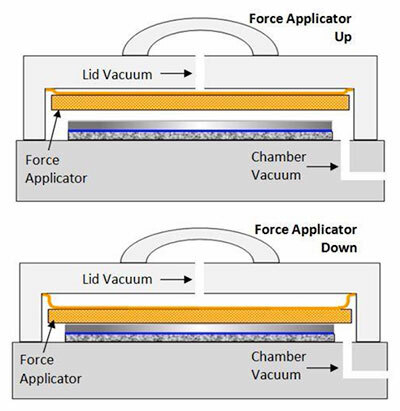 Once the wafer is at temperature the force applicator can be lowered by reducing the vacuum in the lid. The differential between the two pressures provides the bonding pressure to the wafer.